Working Couples Brought To You By A Couple Working Together - COUPLECO. 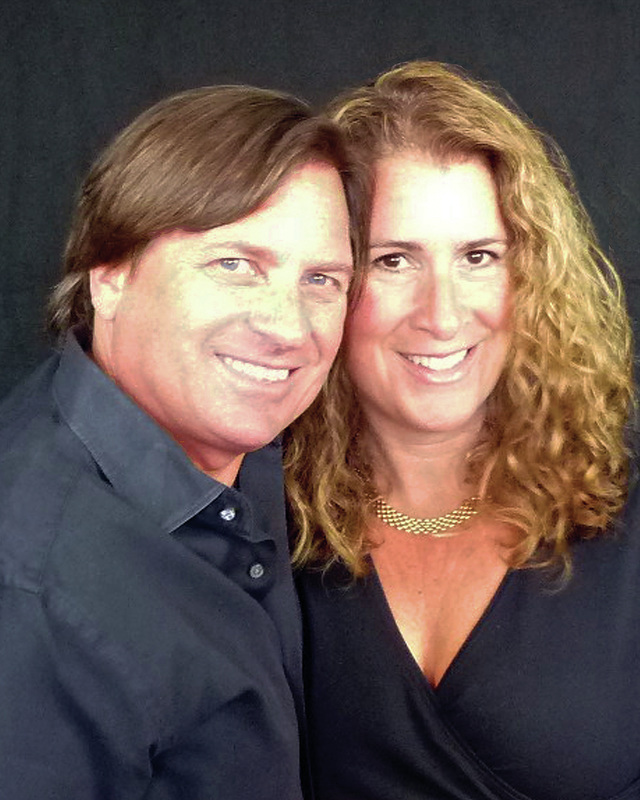 Blaine & Honey Parker first worked together as screenwriting partners in Los Angeles. If anyone tells you that building a house together can destroy your marriage, they never tried screenwriting. (Honey and Blaine know. They've also built a house together. By comparison, it was a piece of cake.) They had more success than most, sold several scripts, and concurrently wrote a book together. But Tinseltown was becoming un-fun. And as owners of a mountaintop property outside Park City, Utah, they decided it was time to build that house together. They moved in, and despite still telecommuting to Los Angeles, they almost immediately started an agency specializing in big-business-style branding for small-business marketing. Eight years later, it remains the best gift they ever gave themselves. And after multiple speaking engagements around the world, they began noticing a pattern: couples in business together were always approaching them to share their stories. Great stories. The kind that start with "We had a dream" and end with "...and we're still married." But there are always challenges along the way. How do you balance the business with the emotions? Who gets final say? What happens when you just need space? Enter CoupleCo. Blaine and Honey love working together, and have learned a lot about what to do, and what to avoid at all costs. But it's all been by trial and error. And there are precious few resources dedicated to the entrepreneurial couple. CoupleCo is filling that void. It's time to bring this exceptional community of trailblazers together. You’re in a relationship with a person you love and you're willing to risk it all. You've expanded the boundaries of that relationship into business with a shared dream or a big idea. What could go possibly wrong? Friends will frequently tell you they could never do it. But things are going pretty well. Except for that time when…well, never mind. It's past. But you believe it would be really good to have a supportive, like-minded community of fellow entrepreneurs in business together. Couples who’ve been there and done that and got more than just the T-shirt. Couples who can explain where the marriage begins and the business ends. Who knows? Maybe you’re that couple, and you’re willing to share the helpful insights and cautionary tales that you wish you’d had way back at the beginning. And let’s face it: everyone’s got at least one really good story. You and your significant other look at business as one of the exciting activities in your life. You love each other, and you love that every win is a team win. You are the heart of CoupleCo. ​Meet Miles Davis, A.K.A. The Ad Cat. Meet the punk with a heart of gold. By day, he's a one-cat death squad. Rodents beware. By night, he's a lap cat, especially if there's already something in your lap. Like a dinner plate. If Honey and Blaine stay away too long on business, he lets them know. If he needs them to watch him eat, he lets them know. He's fearless. He's been seen staring down moose and chasing coyote. But the best thing about Miles is that he's got a great head for ad copy and he can hold his liquor.